What does ** mean in the following code? 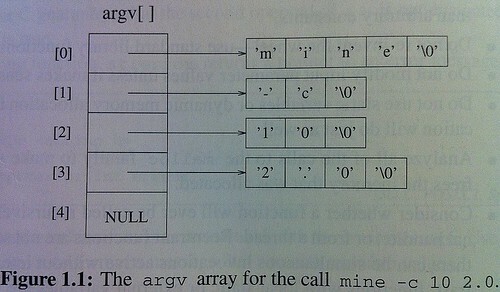 It declares argv as a pointer that points to a char pointer. It is equivalent to the following code. An interesting question is how to initialize "str" declared in "char **str"? A diagram is worth thousand words.